Las Vegas Is 100% Powered By This Type Of Energy — Is Your City? Everything owned by the city of Las Vegas is now powered by renewable energy. Thanks to a new solar plant in Boulder City, all of the city property will operate sustainably, from the public buildings to the street lamps. Las Vegas is powered by renewable energy. The majority of the energy will be sourced from solar energy through the city’s partnership with NV Energy. The company’s new solar plant is located just outside of Las Vegas (in Boulder City). 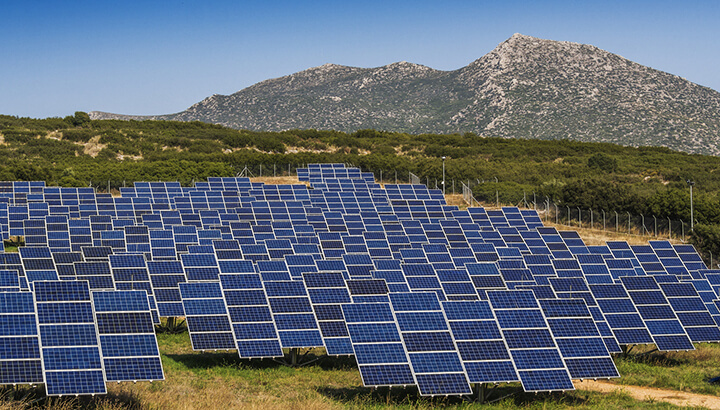 It will play a large role in supplying the city with clean, renewable solar power. Energy conservation has also played a role; the city has reduced its energy consumption by 30 percent in recent years. 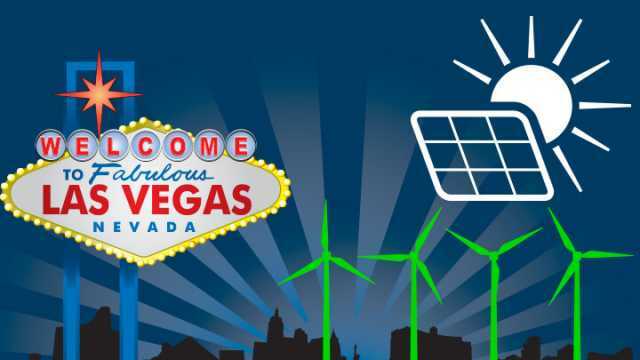 Las Vegas is also a renewable energy producer. The city utilizes pretty much any available space to collect energy from the sun. 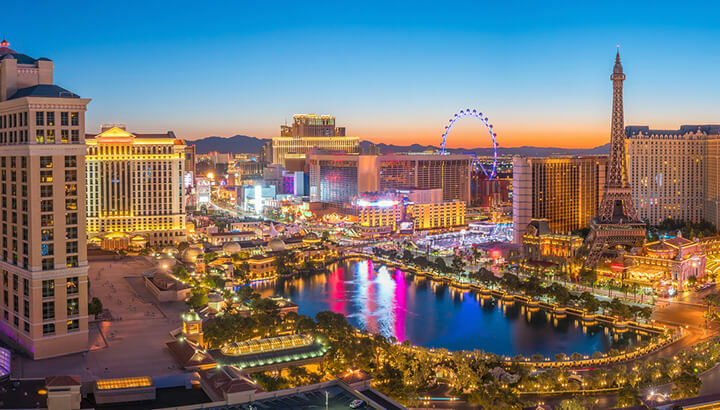 Las Vegas has put solar panels up around the city hall plaza, on top of their wastewater treatment plan and on rooftops of city-owned buildings. The city is also using “solar shade canopies” at city parks. This is all to generate as much renewable energy as possible. The city is also expected to receive a smaller percentage of their energy from hydroelectric power in the near future as well. While hydroelectric power can disturb local ecosystems and waterways, it is still a renewable source of energy. It’s one that does not require the use of fossil fuels. The city proudly announced on their tumblr page (yeah, tumblr!) that their carbon footprint is now back to the size of what it was in 1950. That’s a pretty impressive feat. Las Vegas does have somewhat of a geographical advantage over other areas in terms of solar energy production. But still, this is a big deal! 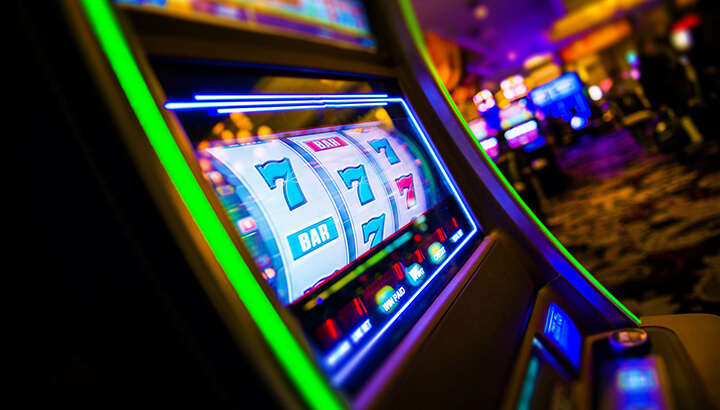 Will the casinos follow suit? Las Vegas casinos are moving towards renewable energy. Unfortunately, the new energy plan does not mean every slot machine, casino and drive-thru marriage window is also running on renewables. It covers any energy used in city-owned buildings or infrastructure, such as street lamps. Still, it’s a pretty remarkable task for such a booming city. And many of the casinos hope to join the city shortly in the 100-percent renewable energy-powered club. Many casinos have followed the city’s lead and installed solar panels on rooftops. Even without government subsidy or feed-in-tariff programs, the hot Nevada sun has been a safe investment for Las Vegas business owners. MGM Resorts boasts that they produce enough solar energy to power 1,000 homes for a year. MGM resorts and many other casinos are now in a position to power operations through the solar power they generate on their own. Or, casinos can supplement that energy from many nearby California and Nevada-based solar farms. The problem is that if all of the big energy consumers in Nevada begin to leave the power grid, it will cause rate hikes for others who do not. “They need to maintain the grid. You cannot let these utilities go bankrupt or else every business in the city dies,” said Bill Ellard from the American Solar Energy Society. If MGM resorts and others want to leave the power grid, it may cost them millions in taxes to do so. American cities like Las Vegas are using more renewable energy. The city of New York, which perhaps never sleeps due to excessive light pollution, is hoping to power 50 percent of the city-owned infrastructure with renewables by 2030. Do you know what percentage of your city’s energy comes from clean and renewable sources? In many of the above examples, politicians chose to push forward a path towards a sustainable future because of demands and concerns from their constituents. If there is not a push in your area to get your city-owned property powered by renewables, then perhaps you could be the one to start the pushing. It wouldn’t take more than five minutes to contact your city councilor or mayor’s office. Then you can find out your city’s energy plan. Doing so could be the first step to your city developing a plan to switch to renewables. Hey Buddy!, I found this information for you: "Las Vegas Is 100% Powered By This Type Of Energy — Is Your City?". Here is the website link: https://www.thealternativedaily.com/las-vegas-powered-by-renewable-energy/. Thank you.